There are moments when Magnetic Fields feels less like a festival and more like a story — a desert mystery shyly unveiling herself to an intrepid explorer. This sense of unfolding mystery, full of twists and turns, is partly expressed through the festival’s surprise performance areas and unannounced elements. At Magnetic Fields, traditional spaces get repurposed for unconventional causes – music, words, yoga, sonic therapy. 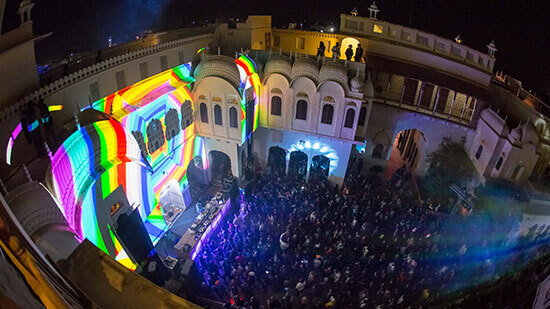 But perhaps the best argument for this idea — festival as story — is expressed late at night, in the Alsisar Mahal courtyard, where the Red Bull Music Academy North Stage transforms the palace into India’s most unique open-air nightclub. Every night, this is where the energy peaks, with guests dancing beneath the stars as sound pulses through the ancient flagstones. And every night, this space looks and feels different. It evolves. The DJs perform from an understated booth — there are no LEDs or pyrotechnics to be found. But behind them, on the palace’s gorgeous ochre walls, the story unfolds. 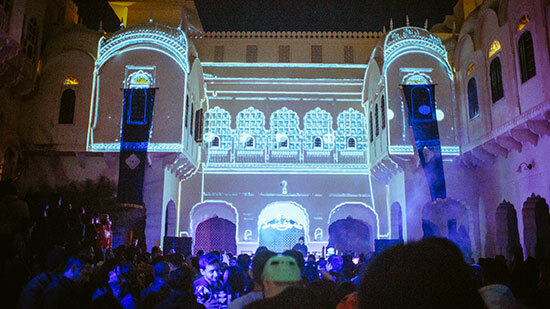 On Friday night, Alsisar Mahal is largely dark, illuminated only by flashes of white mapped specifically to the palace’s ridges, arches, and fixtures. “We try to work with what we have, to keep it minimal. Day 1 is black and white,” says Amendeep Pablay, who coordinates the visual team for the festival. For the viewer — or listener, or dancer – this sense of anticipation climaxes on Sunday night. It is a crucial moment for the festival — legs are tired, noses are runny. Seasoned Fielders are already beginning to dread Monday and the week to come, so it’s imperative that the festival delivers a final blast of exhilaration. This year, it did. “Day 3 was the surprise element,” says Pablay. Surprise would be an understatement. 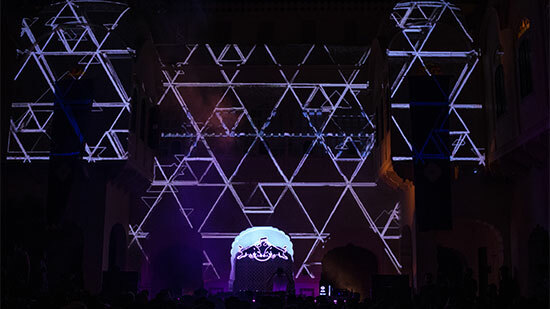 As Floating Points’ vinyl collection warmed Alsisar Mahal with soul and disco, the palace’s entire façade burst into movement. 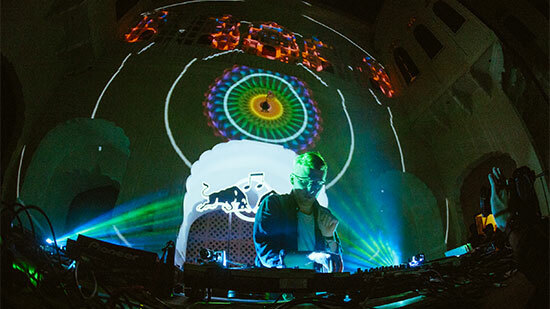 From there, the Brit pivoted into a showcase of his signature electronica, punctuated by glossy techno — and the visuals followed suit, swirling kaleidoscopes of colour, a whirling vortex of vibrant shapes and psychedelic patterns. All traced upon the palace’s architecture, all synced with the music. It’s as if the palace comes alive on Sunday — the protagonist of this story, stepping forward into the spotlight after waiting politely in the shadows for two days. 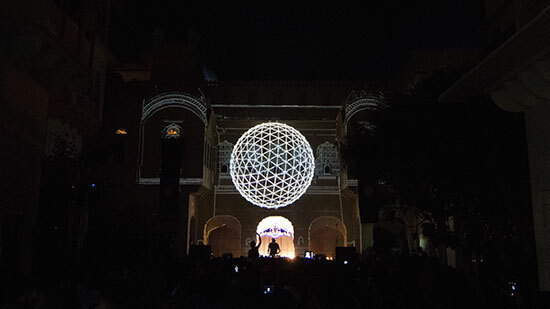 But the Sunday night visual extravaganza at Magnetic Fields Festival 2016 didn’t happen overnight. 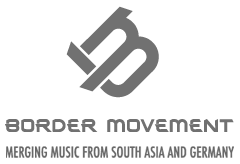 It’s the culmination of a gradual process of improvement that began when the festival was inaugurated in 2013. Cosmic Disco Tunnel – three words you’re likely to hear only at Magnetic Fields Festival.